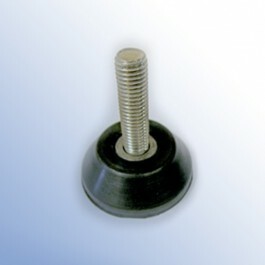 Buy FMS Machinery Mount, FMS Rubber Feet Online | Polymax India. 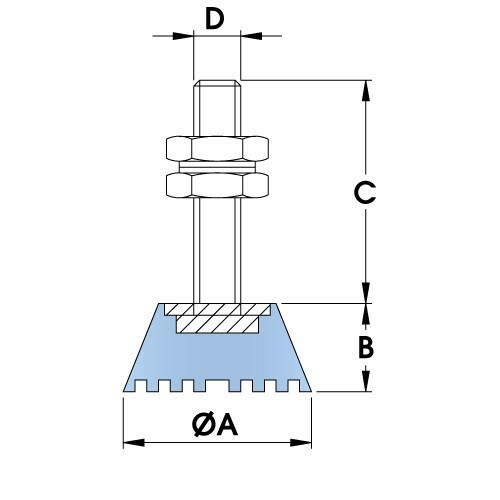 AD shear compression mounts, designed to achieve high damping under compressive loads. Suitable for isolating vibration from heavy machinery and also acts as a levelling device for un-even flooring. 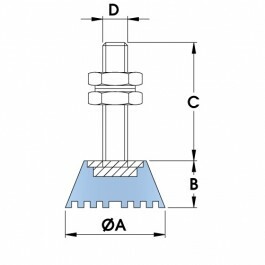 Also available with stainless steel metal parts for use with food industry machinery.